The crisp, cool air of autumn is upon us, which means the season for boating has come to an end and it’s time to put together some ideas on how to winterize your boat to keep it in mint condition for next spring. As the days of bright sunshine are slowly coming to an end, every boat owner needs to take precautionary measures to ensure that their boats will be kept in perfect condition for the next boating season. Too many boats have been damaged on their winter beds for the sole reason that the owners failed to winterize their boats the proper way. Preparing your boat to withstand the extreme temperature of winter is the best way to avoid paying costly repairs and assure that it will be up and running when spring comes. Replace the oil in your engine. This step is essential in ensuring that the moisture in the oil will not damage the bearings by causing erosion in them. Before draining the oil, warm it first to ensure that more dirt will come out together with the oil. Drain the water in your boat. Draining the water in your boat will prevent the water from freezing and expanding, which could damage the pipes. Engine fuel can easily deteriorate in the span of two months. Without replacement, the fuel can cause gum and varnish to accumulate, which could lead to poor engine performance and reduced engine lifespan. Fill the tank with new fuel and let it run for a few minutes to get the treated gas through the engine system. Keep the internal engine safe. In addition to corrosion in the engine bearings, old, unused oil can also lead to damage in the internal parts of the engine and cause cylinder scuffing. This issue, however, can be treated with a fogging oil spray that helps build a layer of anti-corrosive chemical to prevent internal engine damage. Make sure to locate all of your boat’s grease fittings before storing it for the winter. For more information, check your manual on which part of your boat needs to be lubricated so you won’t miss a spot. Make sure you clean your boat before putting it away for the winter. Take out leftover food, snacks, and other valuable things so that your boat will be fresh the next time you take it out in the ocean. Storing your boat in a dry place is the best choice to make since you will be storing it for roughly a couple of months. In addition, you’d also need to cover your boat with a boat cover to avoid dents and corrosion on its surface. 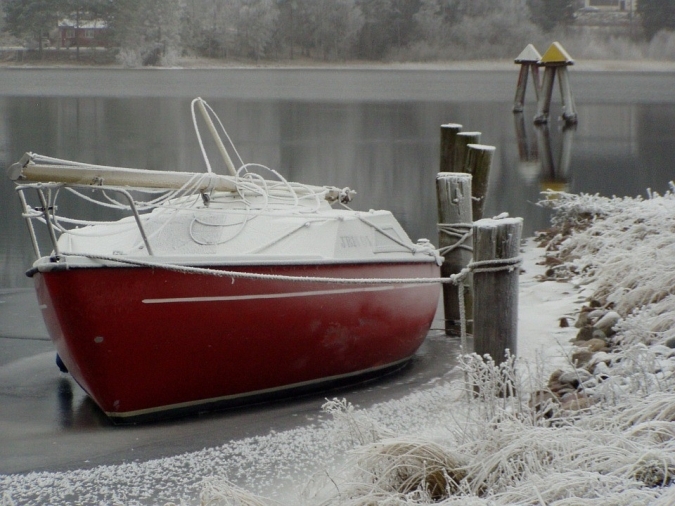 With these tips in mind when winterizing your boat, you will ensure that it will be stored safely during the winter. Your boats are a big part of your assets. Keeping them safe is one way of saving money and preventing any unnecessary costly repairs in the future. 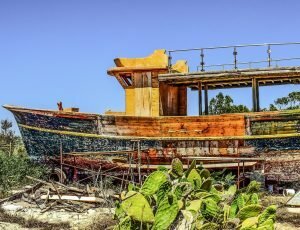 However, if you have a damaged boat that isn’t worth storing anymore, you can always make a boat donation to Veteran Car Donations to help out our nation’s struggling heroes – the U.S. military veterans. Winter is a tough time but it’s a much tougher environment for those people without a roof over their heads. To know more about Veteran Car Donations, our donation process, the tax deductions and other rewards that you can get, the types of vehicles you can donate, and other related matters, check out our About Us and FAQs pages. For inquiries, you can call our toll-free 24/7 hotline 877-594-5822 or send us a message online.